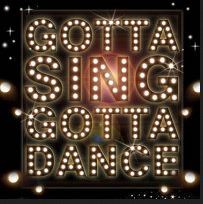 Ok, we can definitely help with the ‘Gotta Sing’ part. We offer voice lessons to children (junior high and older… check with an instructor if you would like voice lessons for children younger than junior high) and adults. Our instructors offer individual, weekly lessons and encourage a variety of songs and styles. Lesson lengths range from 30 minutes to an hour. Contact us to schedule a lesson or meet with an instructor. This entry was posted on April 12, 2014 by stringacademy2014 in instruments and tagged voice.